It concerns me when people say that they take kava kava or valerian each night to get to sleep. Although the herbs are very useful and probably more attuned to human biology than synthetic chemicals, the fact remains that it is not healthy to drug yourself to sleep each night, even herbally. It concerns me when people say that they take kava kava or valerian each night to get to sleep. Although the herbs are very useful and probably more attuned to human biology than synthetic chemicals, the fact remains that it is not healthy to drug yourself to sleep each night, even herbally. Occasionally, to get over the rocky parts of life, fine. But we know that pharmaceutical sleeping medication interferes with the dream states and the quantity of REM sleep. While the herbs are probably more benign, I would be suprised if they did not have some effect on normal sleep patterns. Not all herbs are tonic herbs- like oatstraw, nettles, Siberian ginseng or astragalus-which are nutritional and need to be taken for several months before they are effective. Even herbs with specific actions like vitex, which should only be taken when indicated for certain kinds of hormonal conditions, may need long treatment periods before their efficacy shows up. But that does not apply to all herbs (say pokeweed or Amanita muscaria), even if we consider them "natural". Some herbs should only be taken upon occasion, or at least with consciousness of the possible negative effects. We have all probably seen people who abused marijuana, although the herb has legitimate medical uses. 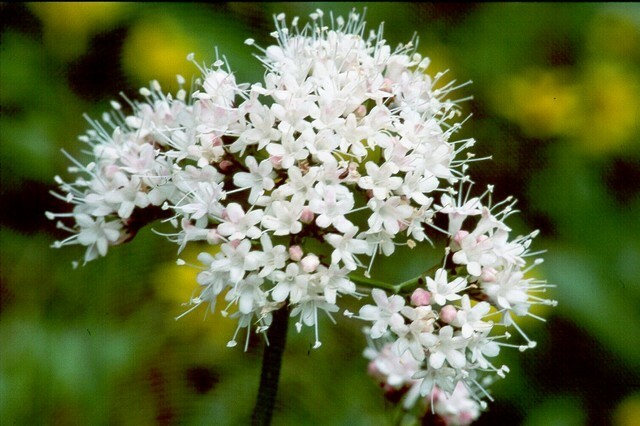 But did you know that in the nineteenth century, people referred to "valerian users" with the same opprobrium people use for alcohol abusers today? Ephedra is useful for asthma and I have had respiratory conditions that only responded to it. But it isn't appropriate as a stimulant or for weight loss (darn!) because it stresses the adrenals. I won't even touch guarana because it is way too strong a stimulant for me. Coffee stresses the adrenals too (double darn!). I will use coffee upon occasion for stimulation, but conscious that I'm letting my lifestyle get out of whack and making things worse in the long run. Paul Iannone once said that cannibis had a greedy plant spirit which demanded allegiance of the user. I've heard people involved with shammanic healing who insisted that heavy use of psychotropic herbs leaves people with holes in their auras (and some shamans say that unhealthy spiritual entities fill the vacuum of those holes). Whether you take this as metaphorical or literal, there are many plants that can be abused with negative consequences. This isn't to stigmatize some herbs as "bad'", as the media is wont to do, but to urge a conscious use, along with a knowledge of the proper uses and cautions associated with any herb or supplement we take. Nor am I suggesting that it is always illegitimate to use herbs for relaxation. Kava kava is used like wine in its social context. There are dangers to both I suppose as well as enjoyment. There may be legitimate reasons for people to take a psychotropic medication, herbal or otherwise for long term use. I have a family member on Prozac who does not function well without it, (although I wish that the person would consider St. John's Wort instead). But it would ultimately be better to find the combination of lifestyle, diet, herbs, bodywork and psychology to eventually not need it . (The same for diabetes and insulin). Cures may be beyond the constraints of many of our lives because of current and past choices (and the fact that we can't live in a bubble). They are probably not impossible.